Realizing that substance abuse and addiction is a real problem and recognizing the need to get help can be a difficult process. Finding a doctor or therapist that is able to provide personalized and effective care to meet a person's individual needs can be even harder. The clinicians of the Summit Wellness Group of Roswell GA specialize in providing treatment that is supportive, caring, and unique to each person. We are a team of health-care professionals in Roswell GA devoted to helping adult men and women recover from substance abuse disorder such as to opioids, stimulants, heroin, and alcohol. We strive to fulfill our mission of treating the whole person, physically, mentally, and spiritually. While we don’t offer detox services or inpatient treatment, we provide therapy and aspects of the 12-step approach plus a wide array of outpatient services to help clients achieve and maintain well-being. Our program is designed to move our clients from addiction to recovery and help them rise above the negative ramifications that follow a lifestyle of addiction. We believe that full and lasting recovery from addiction requires more than just medications or even a 12-step program alone. The Summit Wellness Group partners with addicted persons and the important people in their lives, but we keep the client and his or her needs as the focal point of therapy. All of our treatment programs maintain the utmost respect for our clients and their families, always emphasizing our belief that recovery for life is possible. Our program is built on the concept that each client has a different set of needs and circumstances and our holistic approach is tailored to each person. Partial Hospitalization Program is an outpatient level of care that meets from 9:00 am to 4:00 pm Monday through Friday. Clients often stay at nearby sober living environments while participating in our program. This creates structure around the clock, while allowing for a more affordable option than a residential treatment program. Our Intensive Outpatient Program meets from 9:00 am to 12:00 pm and is available Mondays through Fridays and selected based on what best meets the client’s needs. Our licensed therapists specialize in all of these techniques and employ them as needed during one-on-one, hour-long therapy sessions which are provided weekly to every client. All clients also participate in group therapy which adds to improved outcomes and is a major part of treatment at The Summit Wellness Group. CBT helps clients confront and change negative or untrue beliefs that can hinder their progress. Motivational Interviewing encourages clients to face their feelings of ambivalence about making better life choices and helps them use their strengths to face these challenges. Solution focused therapy helps a client problem solve current issues and come up with a plan to make positive changes. Trauma Informed Therapy acknowledges the role past trauma may have played in a client’s life and helps them use that information to make positive change. which can help control pain, anxiety, and sleep. which can improve spinal misalignment and improve wellbeing. to increase mental and physical strength. to improve heart health as well as decrease anxiety. and aroma therapy to help enhance relaxation. to help control uncomfortable feelings that can lead to relapse. to assist in treating anxiety, depression, and post-traumatic stress disorder. which can help clients work through traumatic experiences. to help counteract poor eating habits that are often associated with addiction. Drug screening, helping clients manage their medications, and peer support. Weekly telehealth sessions via Skype or phone to help clients stay on track after discharge from the formal program. 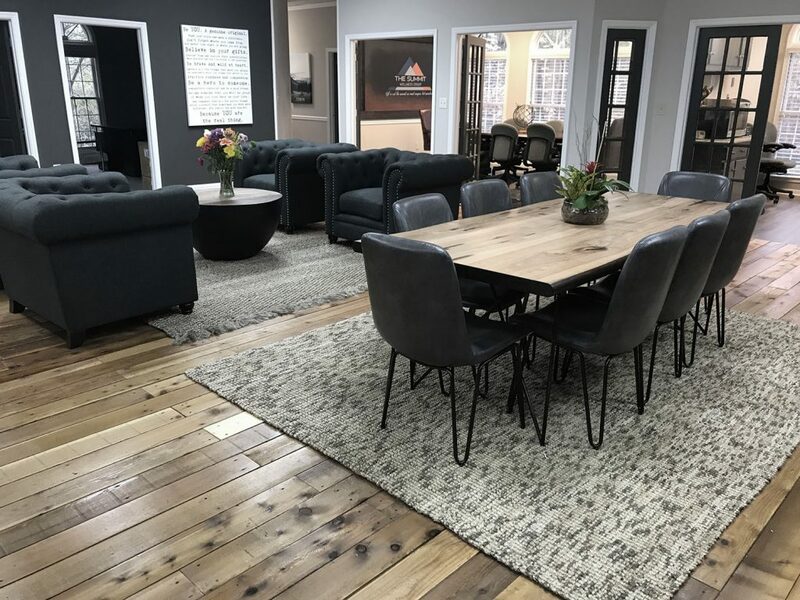 The Summit Wellness Group is approximately 30 minutes north of Atlanta GA by car and an ideal choice for anyone who is looking for more personalized and affordable care than is usually found in large inpatient treatment settings. We accept most major health insurance plans, as well as out-of-pocket payments. We accept clients from our local area as well as from out of town. Whether you are just gathering information or maybe you are ready to get help right away, we are here for you. Our team is available 24 hours a day, 7 days a week. Addiction and alcoholism doesn't stop - so neither do we. Get started on your recovery right away!